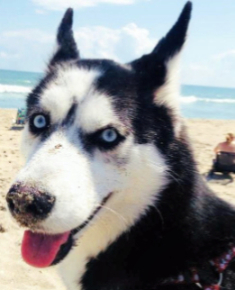 Siberian Husky Rescue of Florida, Inc. 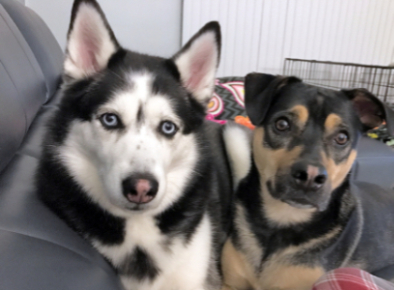 If you are interested in listing your Siberian Husky on our site as "available for adoption" please read the "Referral Process" and instructions here. Referrals are available for adoption directly from their owner. Descriptions of the dogs are provided by the dog's owner. If you are interested in adopting one of these dogs, please contact the owner listed. Meet Bella! Bella is a 6 year old pure bred Siberian Husky who is looking for a new family. Her former family now has some dog allergies within the home and they do not have the time to care for her, so she spends the bulk of her day crated, with only 20 minutes of outside play time. She loves to play in the yard and LOVES swimming. Bella is great with kids but will usually prefer to keep to herself. She currently lives in a home with two children under the age of 2. Bella is crate trained, leash trained, and house trained. She is current on her vaccines. Bella is a tad timid, and takes her time adjusting to strangers and new environment. She comes out of her shell on her own and will warm up to new things rather quickly. Meet Zoey! Zoey is a 5 year old Terrier mix. She and Bella have been housemates since Zoey was a few months old. 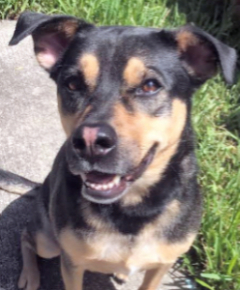 Zoey loves to play fetch and loves children. She is crate trained, leash trained, house trained, and current on her vaccines. Zoey is great with other dogs and has been socialized. She loves to play and cuddle. Both dogs are healthy, current on vaccines and spayed, house broken and crate trained. Ideally they should be kept together so that they don't lose each other as well as their family. If you�re interested in adopting, or would like more information, please contact Second Chance Rescue at info@asecondchancerescue.org. We are in desperate need of Foster homes to help save more Siberians from neglect, abuse, abandonment and illness. We can not save these precious fur balls without your help. If you can open your heart and home to just one fur ball you can make a difference! By becoming a Foster you are not only saving a life, you are helping give a Siberian a chance at a new home...a new life! Can you look into this fur baby's eyes and not want to help? Click HERE to find out more!